This reference brings together, for the first time, information on the electrochemical and physicochemical properties of carbon that are relevant to the understanding of its electrochemical behavior. The book is divided into three major sections. The first section reviews the manufacture and physicochemical properties of commercial carbons. The second section presents a discussion on the characteristics and types of carbon electrodes. The third section explores the wide range of applications of carbon in electrochemical systems. Features many tables and figures, as well as numerous references. Dr. Kim Kinoshita is the author of Carbon: Electrochemical and Physicochemical Properties, published by Wiley. Characterstics and Properties of Carbon Electrodes. 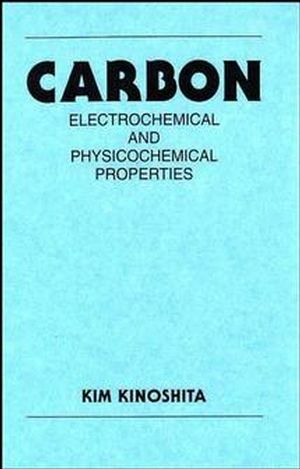 Application of Carbon in Electrochemical Systems.